Behavior. It is what we witness every day in our work environment. What are people doing? What are we doing as observed by others? Why do people behave the way they do? Under the best circumstances behavior flows from core beliefs. We take action based on what we believe to be true. Beliefs can change. 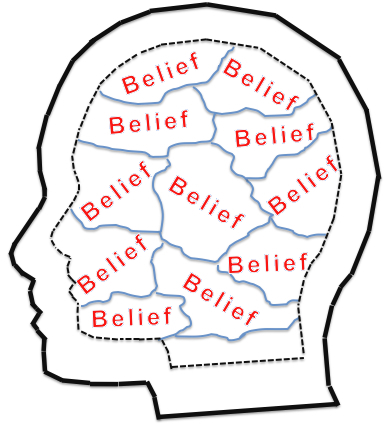 It is important though that we behave in line with our beliefs. At times core beliefs and the witnessed behavior are not aligned. Short-term this may work, but certainly not long-term. For leaders, especially those who manage people, the link between one’s behavior and deeper beliefs is very important. We expect leaders to be authentic and act in a consistent way. This is who I am. This is what I believe in. This is how I choose to act. When the pressure is on, I do not lose grip on my beliefs. I recently read an article from Inc. Magazine titled, 8 Core Beliefs of Extraordinary Bosses. At first I loved what I was reading. Here are the beliefs listed in the article. Yet, as I thought about it more I realize that we need to be careful. The article author, Geoffrey James, interviewed “some of the most successful CEOs in the world”. From those interviews he compiled this list. Great. As I said earlier, I like the list. Yet, is it real? Interviews with successful people are one thing. Follow them around with a notebook for a while and observe their behavior. Only then do you know (once again my inner anthropologist). Business leaders commonly speak to espoused values (or beliefs). In other words, what they want to see for their organization. Too often these espoused beliefs are mistaken for actual behavior. If the CEOs interviewed truly behave in line with the listed Beliefs, then wonderful. If not, well … then just talk. Talk that does damage. Read the article (link here) and see how the author details how an average boss and how an extraordinary boss works with each of this beliefs. If the behavior matches these beliefs then all good. I do worry though that smart leaders may talk-the-talk, but do not follow through. Their behavior gives them away. You have seen it. I have seen it. For all of us, be authentic and behave as you believe.